The scene isn’t real. But for many children across Mali, it is a reality. 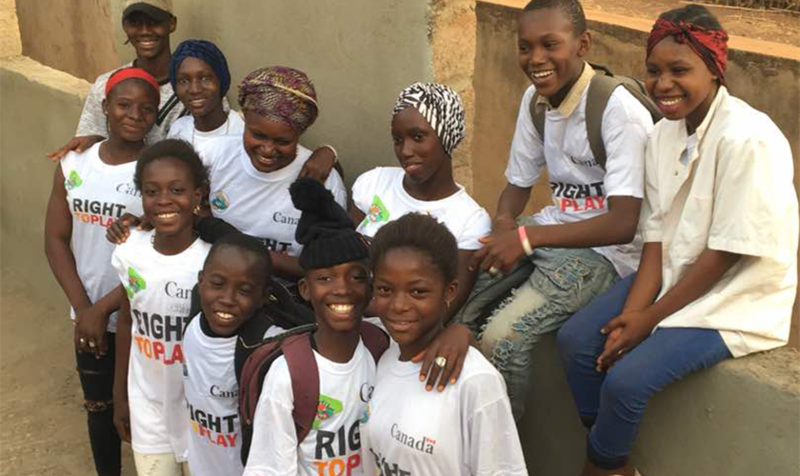 And now, a band of bold Malian young people are speaking up for child rights and protection, spreading their message on different platforms, including live theatrical performances like this one. This drama is the brainchild of the members of a Right To Play school club focused on child protection, educating participants on their rights and how to claim them. To these outspoken students, too many children’s futures are disappearing – through child labour, in mines and farms burying any hope of attending school, through child marriage trapping countless girls in the cycle of submission, teen pregnancy and violence. The group’s performances are hitting home, sensitising spectators to the issues around child labour, child marriage, and the value of education. “We use these plays to enlighten our parents about topics that are difficult to discuss at home,” says Ramata. As the child marriage play ends, the dead girl rises to emotional applause, mirroring the uprising of these young champions as they strive to carve a new reality – for themselves and the children around them.